The PET category of retail real estate has remained strong over the past decade. 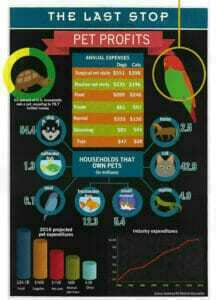 Everyone loves to spoil their pets, from the Baby Boomers to the Millennials. 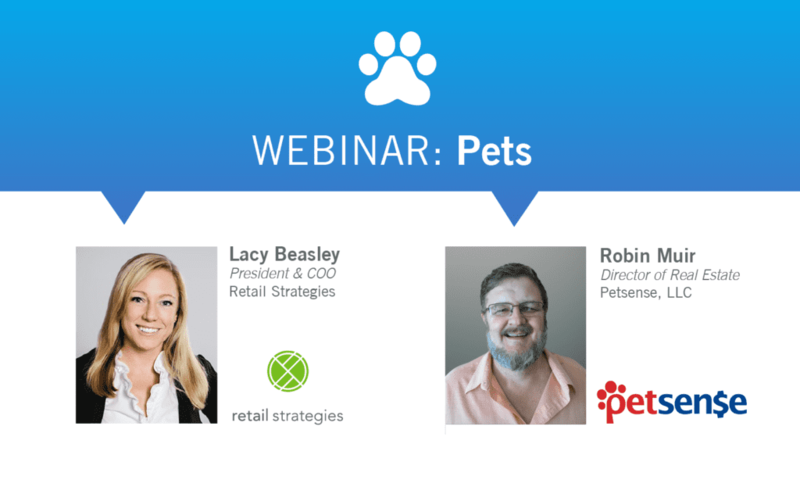 Learn more about one of the fastest growing concepts in the Pets category, PetSense. 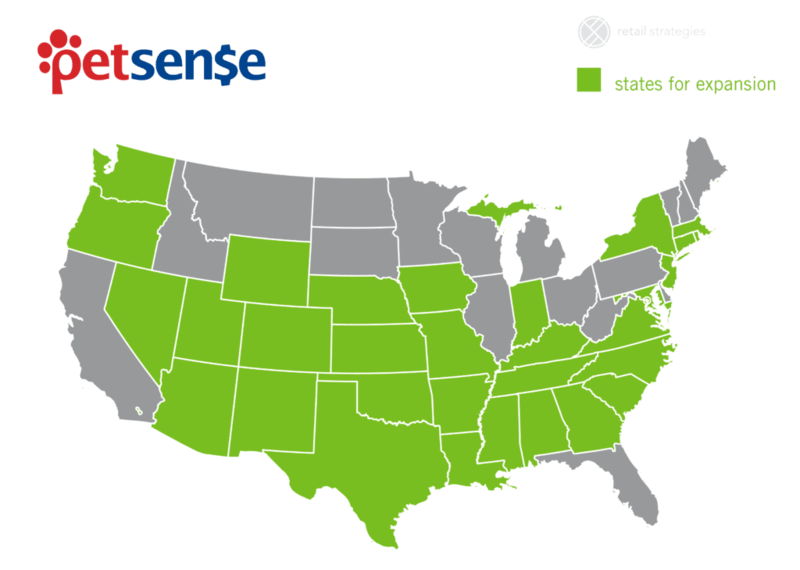 PetSense is looking for sites that have great visibility and high traffic counts in markets with trade area populations of 30,000 to 80,000 population. 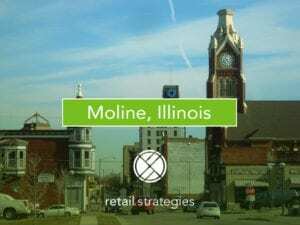 They want to be a minimum of 6 miles away from competitors in a center near anchors such as Wal-Mart, Target, Lowe’s, Home Depot, or Grocery Store. They can take between 5,000 and 8,000 square feet, as long as it fits rent budget. Please tune-in to hear directly from the Robin Muir, Director of Real Estate, with a live Q&A hosted by Lacy Beasley, President & COO of Retail Strategies.